Really? Is that what 9-year-old hockey is about: swearing, fighting, and the adults involved not only turning a blind eye to these situations, but actually encouraging them through their own poor behavior? Hockey is far too beautiful a game for that. Every sport is. I love competing, and I love competitive sports. Heck, I don’t even like when someone finishes their pizza slice before I do. But this is not about competing. This is about a youth sports industrial complex gone mad. It’s about a place where organizers are afraid to toe the line on behavior, lest their tournament or player numbers dwindle. 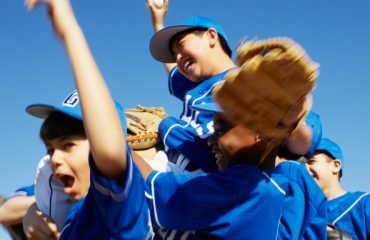 It is a place where coaches, schools and sports associations are afraid to stand up to unruly parents, lest they pick up and leave, or because “they are the customer, right?” And it’s about parents and leagues allowing disrespectful coaches to create environments of fear, intimidation, and poor sportsmanship, so long as they keep winning. And we wonder why so many kids quit? This is not a hockey problem. This type of behavior exists across all sports, and is spreading across the globe. We have an accountability problem in youth sports, and if we do not change, if we allow the type of status quo described above to continue, our sports will continue to suffer and die! The problem in sports is that everyone makes excuses. Coaches blame parents. Parents blame coaches and leagues. Organizations say “Well, that’s hockey.” And we wonder why our athletes make excuses? You are also accountable to parents, to treat their child with the respect and dignity. You need to be an encourager, not a discourager. You need to coach the child, not the sport. You need to value the human being, not the athlete. You are accountable for building an environment of love and respect, not fear and intimidation. Any coach who does the opposite, who says “I have done it this way for 30 years, I am not going to change,” should scare you! Why? For the same reason that you would want your ER doctor to use the latest and greatest techniques on you if your life was on the line. “Oh yeah, I know the research says we shouldn’t treat heart attacks like this anymore, but I have always done it this way, so I am not going to change.” Wouldn’t you ask for another doctor? Coaches should be accountable for being life-long learners, modeling respectful behavior, and developing both better athletes and better people. We should not expect them to be perfect, but we shouldn’t excuse bad coaching either. 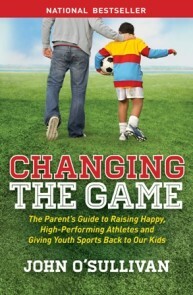 Parents are also accountable to coaches, sports organizations, and officials. They must not interfere with the coach/player relationship (unless it is unsafe). They must support our great coaches and stop micromanaging every aspect of our kids’ teams, who plays, what position they play, etc. Great coaches can change a child’s life for the better if we let them do their work! Struggle is good, and talent needs trauma, so embrace it! Finally parents, we must start holding each other accountable in the stands for our behavior. We must create an environment where unruly behavior is no longer tolerated. We must leave the officials alone. We lose 70-80% of first year officials in youth sports because it’s just not worth it to them. If we want good officials, we better create an environment where they want to work. We have the power to change things if we are first willing to change ourselves. Do not act entitled, and for your own sake realize that everything you get in life will need to be earned. 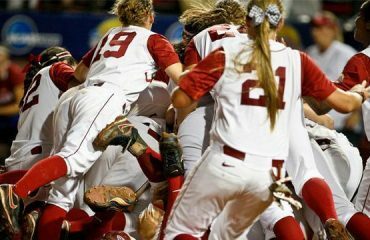 Show up early, stay late, outwork your teammates and the opponent, and expect nothing except the opportunity to compete. Use your influence as an athlete to better the lives of others in your school, especially when it comes to bullying, and befriending the friendless. Athletes, you are also accountable to let coaches and parents know what you want, and what you need from this experience. 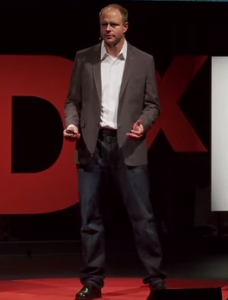 At the last high school I spoke at, nearly 50% of the kids said their parents had no idea what their goals were in sports. Stand up for yourself, be willing to struggle and fight for the things you want! Adopt a comprehensive parent and coaching education mandate in your organization, and demand more of yourselves, your coaches and your members. Check out US Club Soccer’s “Players First” Initiative as a model. Adopt a strict policy for any parent, coach or athlete who breaks your code of conduct and enforce it! Sadly, most organizations have a code of conduct, and it’s not worth the paper it’s printed on because they are afraid to hold people accountable for it. As sports organizations charged with developing our youth as people and as athletes, we must do better. Zero tolerance does not always mean one bad decision and you are kicked out, but it must have teeth. An adult fighting another adult should not be allowed back on the sideline, ever. Your kid is welcome, dad is not. No one has the divine right to be a spectator at their kids’ events, yet we continue to allow this behavior, and it is very sad. When I think of the story above about the 9-year-old hockey tournament, or others I have heard about basketball, soccer, softball, you name it, I can’t help but think that all those adults have no place around kids’ sports. 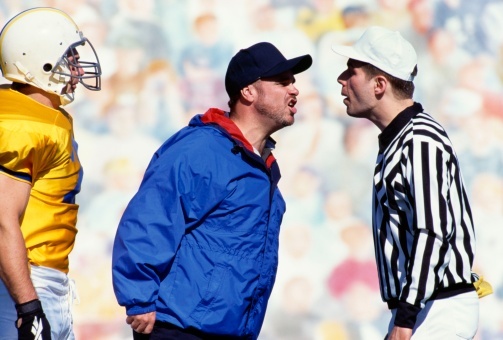 Coaches who encourage poor behavior don’t. Tournament organizers who condone fighting and cursing by 9-year-olds by saying “that’s hockey” don’t. And parents who turn the sidelines into toxic places for our athletes, officials, and for those who want this experience to belong to the kids, have no right to continue to destroy the experience for the majority. Here is the thing: they won’t stop until everyone becomes accountable. 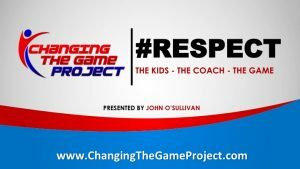 Every athlete, every coach, every parent, and every club must stop making excuses and say “This ends today.” You can start by having everyone watch and be accountable for online courses such as our new one “Respect the Kids, Respect the Game.” You can bring in great speakers from Changing the Game Project, the Positive Coaching Alliance, Proactive Coaching or others who are making a difference. You can do a lot of things. But first, you must say “I am accountable, and I am going to help change this, because I love this game, and it’s the right thing to do.” It’s time for the responsible adults to demand to be put on the hook, instead of let off it! Yes it is scary, but be brave. You are not alone, and there are millions of us out there who got your back! Let’s stand up and be counted.